The Flying Flea was a tiny 125 cc motorcycle made by Royal Enfield while the World was still at war for the second time. This lightweight motorcycle was designed to be carried in gliders and even thrown off of an aircraft in remote locations with a parachute. These motorcycles helped the soldiers to quickly carry messages and signals to places where radio communication was not in place. Playing a crucial role in the war, this motorcycle is nothing short of an icon. Maybe that is why, we see many new motorcycles trying to mimic and pay homage to this World War veteran. 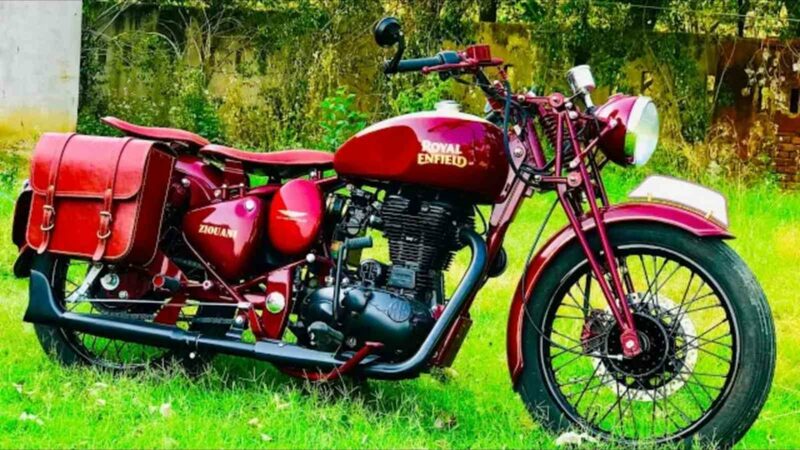 Here is one particular example of a Royal Enfield Electra, paying Homage to the heroic Flying Flee and other Royal Enfields of that era. This particular Electra model has received a number of changes, transforming its appearance. Up front, the regular telescopic forks have been removed in favour of a retro looking, girder-type suspension. This system uses a central spring and a number of moving parts to absorbs the bumps up front. To accommodate the spring, the headlight nacelle had to be placed way forward and its position makes this bike appear lengthier than it is. A part of that nacelle is an ammeter, and underneath that resides a 3-step switch for the headlights. A regular speedometer has been added in this area as well. The handlebar is wide and 17-litre fuel tank gets a mild dimple in its metal for the rider to tuck his knees in. 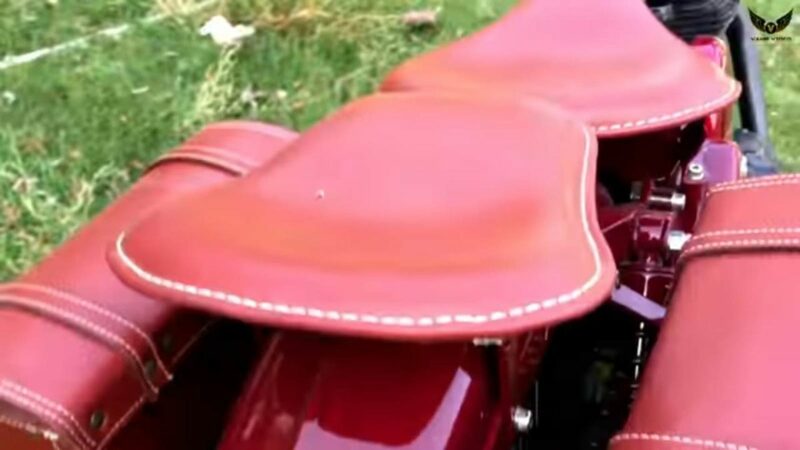 The seats are customised and crafted out of leather and match the shade of the leather saddle bags on either side of the bike. Both the rider and pillion get individual seats. The exhaust too, is a custom unit, finished in black and has a shark fin type tip at the end. Completing the package is a striking maroon paint job, with the wheels and engine painted in black. At the end of the video, Nitin, a representative of the shop responsible for this build tells us about the story behind the build and explains each and every change, do have a look.